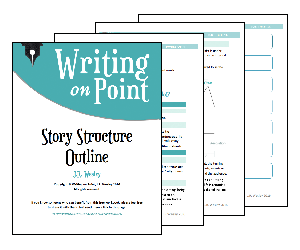 Turning points are critical to the tension and plot development of any story. They should be related to the overarching Story Goal / Outer Conflict – the big thing that a protagonist ends up facing off against a story’s main antagonist to resolve. It’s important to identify turning points when addressing a 2nd draft, whereas for first drafts it’s more important to get the story written. Many times, turning points mark the changes between Acts, but not all turning points occur at Act changes. They always move the plot forward and are almost always prompted by external events. Meaning, they are action related versus emotional. Turning points represent change, and change is defined by actions not by thoughts. The protagonist is presented with a change in their life circumstances. Usually occurs at the 10% mark of a story. Similar to Opportunity Turning Point, but results in the protagonist getting drawn into the Outer Conflict regardless of any previously established thoughts or intentions. Usually occurs at the 25% mark of a story. The protagonist fully invests in the Story Goal, and the necessity to be involved in its resolution. Usually occurs at the 50% mark of a story. Despite being fully invested, the protagonist now faces the largest challenge preventing the resolution of the Story Goal / Outer Conflict. Usually occurs at the 75% mark of a story. Either the climax itself, or the period directly after. 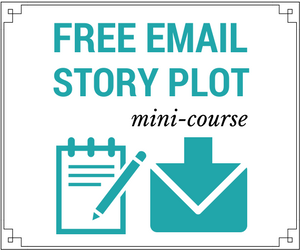 Establishes the new normal, the result of achieving the Story Goal. Depending on the type of story, this moment can occur anywhere from the 90% mark – leaving room for fully fleshing out the new normal – or as late as the 99% mark – usually to leave the reader in shock. The percentage completion of a story is more of a suggestion and example rather than any set rule. The ‘Defining Story Goal’ and ‘Major Setback / Dark Moment’ turning points often respectively mark the changes between Act 1 and Act 2, and then between Act 2 and Act 3 of a traditional 3 Act structure story. Turning points are all about tension and the conflict of the story. Can you pick them out in your favorite story? What did they make you, as the audience, feel? Do you think you’re achieving something similar in your own stories? The comments are always open.